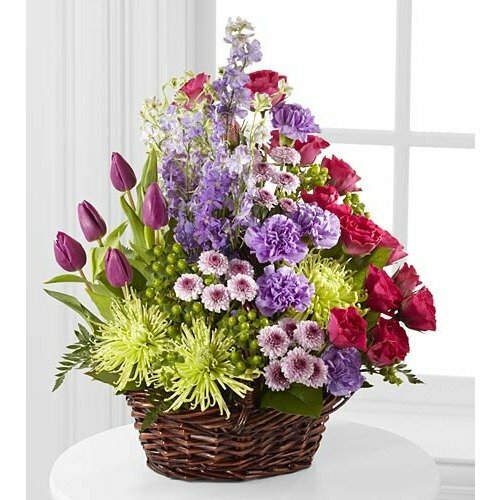 The Truly Loved Basket exudes fantastic color, warmth and cheer to convey your most heartfelt sympathies for their loss. A wonderful way to show how much you care. * I have used 1st in Flowers for many years now and I am always completely satisfied with the quality of the gifts and flowers that I choose and the delivery has always been perfect. The whole system works very well. * Great and convenient service. * Delighted with service makes gift giving so easy.